Baby raccoon removed from attic in Chesapeake, Virginia. All Around Animal Control offers the most innovative raccoon removal techniques in Hampton Roads. 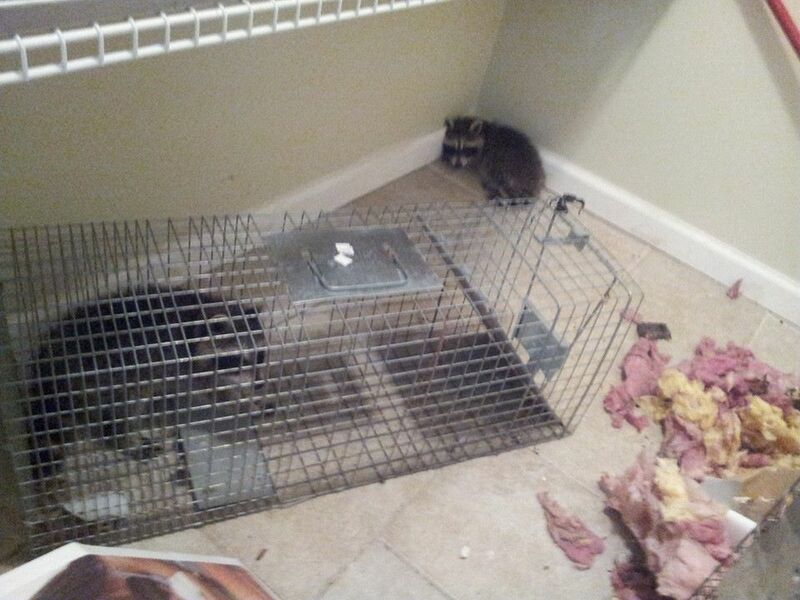 We have specialized experience in raccoon removal, raccoon control, and raccoon trapping. Raccoons primarily move in low light conditions. At night while you’re sleeping the masked bandits begin to seek out what kind of havoc they can do. Mostly looking for food, raccoons will eat almost anything including; worms, grubs, insects, fish, birds, frogs, eggs, mice, moles, rats, and even rabbits. We receive tons of calls per year from people in the community with raccoons in their dumpster and or raccoons in garbage cans. Bird feeders are an obvious target and can become magnets for every raccoon in the neighborhood. Raccoons like to build their homes in cracks and in the holes up high in trees. 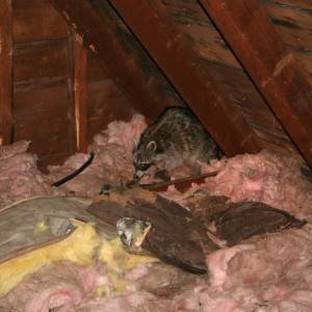 More often, raccoons are left no choice but to invade attics of homes, chimneys, and outbuildings. 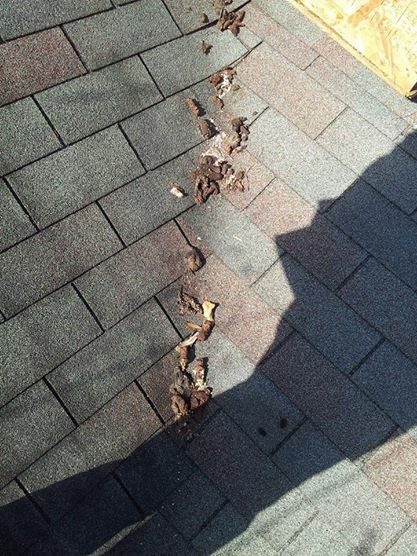 Raccoons tear holes in roofs, rip open soffits, and can cause hundreds and thousands of dollars in damage to homes every year due to minimal wildlife living space. Raccoons mostly breed through mid to late December, January and February. Averaging 3-6 cubs per litter, these young may even breed the same year they are born. Sometimes coming back to the same wall, attic or chimney they were born in. Raccoons will have their young in the spring. This is when most people will start hearing noises in their attics, noises in their chimneys, and even noises in their walls. Although raccoons appear to be “playful” or “cute”, when cornered they will fight for their life. Raccoons are very strong, fast, and have sharp teeth and jaw strength that can break bones. Raccoons can carry rabies. Raccoons also can have many other diseases as well as raccoon round worms. The picture above shows feces witch carries (round worm). 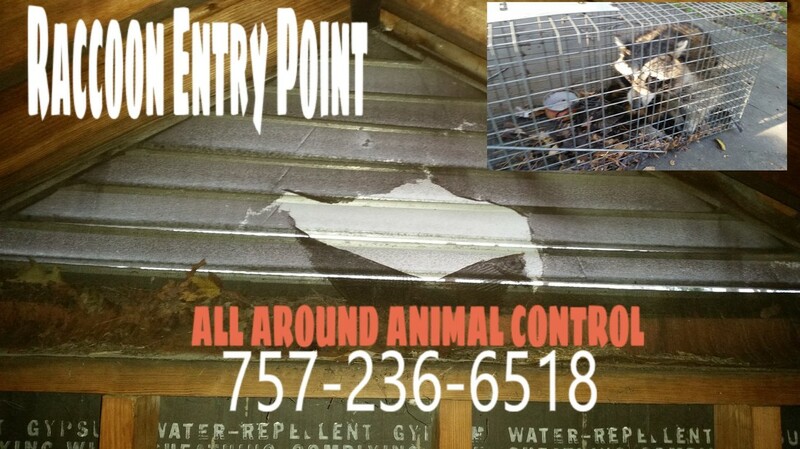 All Around Animal Control is a licensed Nuisance Wildlife Removal company with trained and experienced pest technicians that will provide you with the most extensive home inspection available. 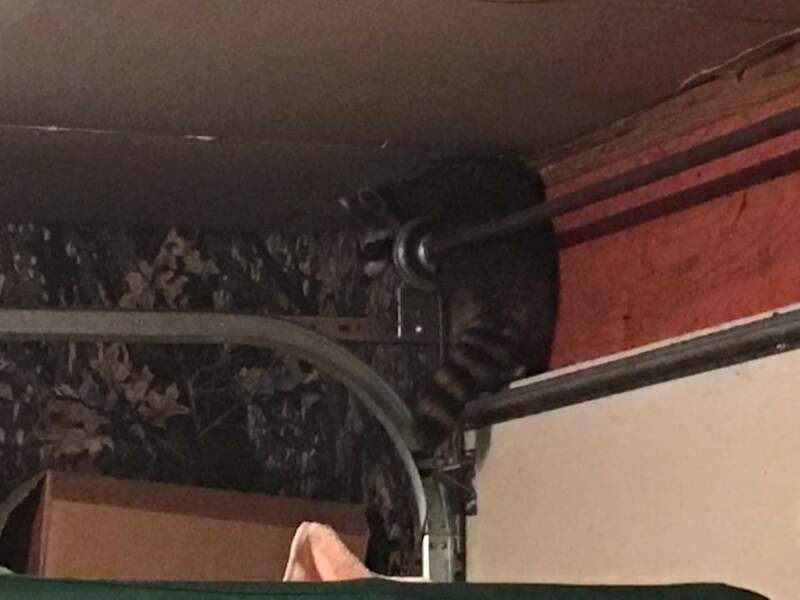 Locating all possible raccoon entrance points, raccoon damage, or even provide you and or your company with an estimate to repair, exclude, or remove contaminated insulation caused by raccoons. 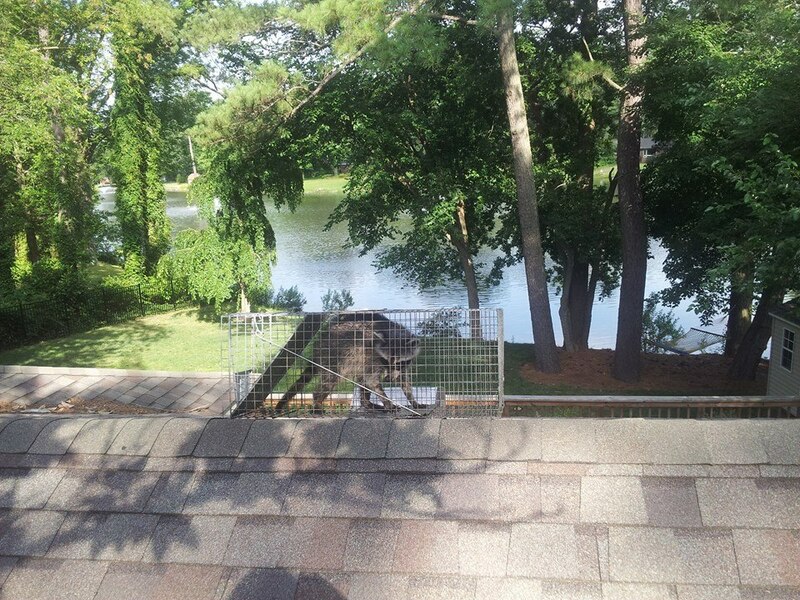 We provide nuisance wildlife services including Raccoon control and Raccoon removal in the zip codes of Norfolk, VA 2350, 23502, 23503, 23504, 23505, 23506, 23507, 23508, 23509, 23510, 23511, 23513, 23514, 23515, 23517, 23518, 23519, 23520, 23521, 23523, 23529, 23541, 23551, 24042 and 24043.